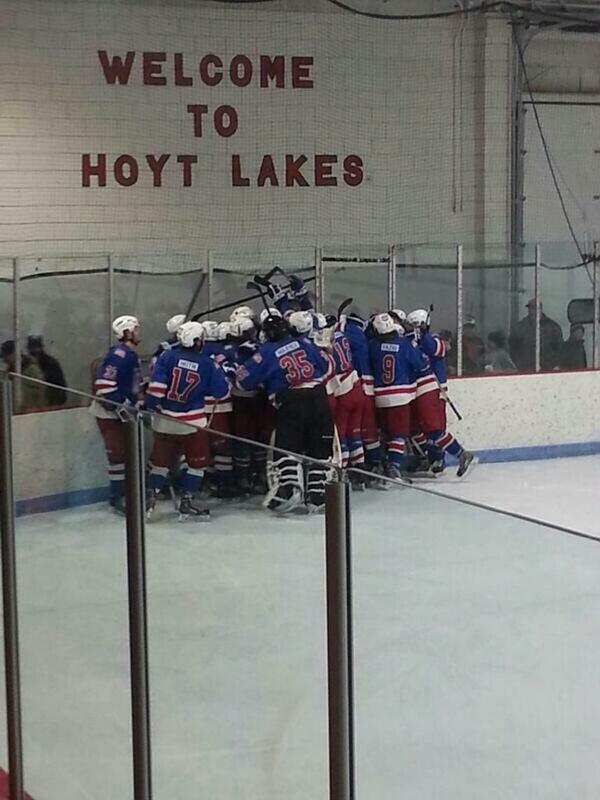 Hoyt Lakes Arena is located within the heart of northerm MN Iron Range at 102 Kennedy Memorial Drive in Hoyt Lakes, MN. 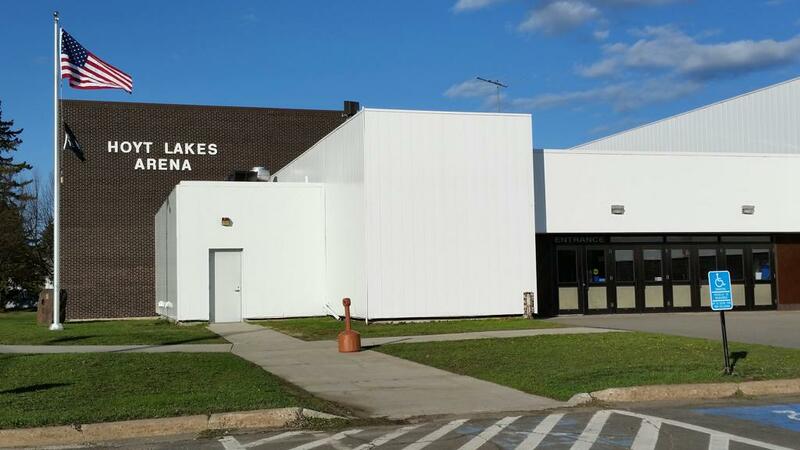 Home to the Minnesota Iron Rangers (SIJHL) Junior A hockey team, Mesabi East Giants youth hockey program, and Hoyt Lakes Figure Skating Club. 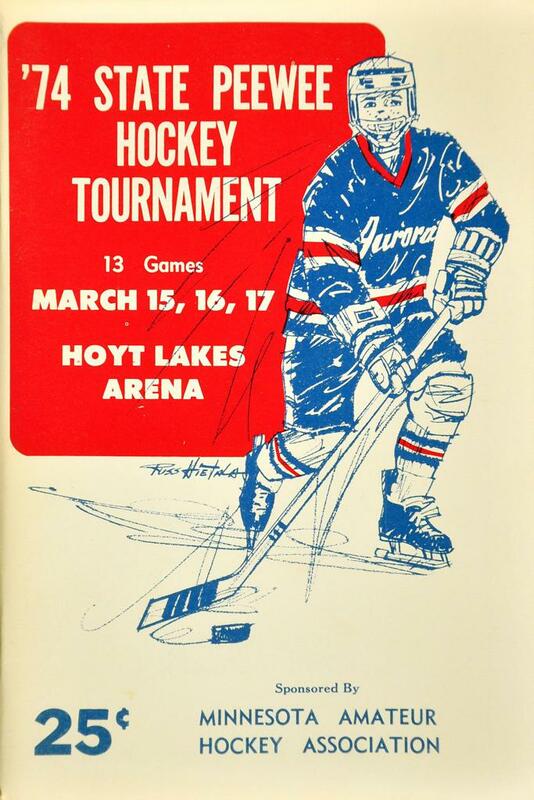 Hoyt Lakes Arena is a classic built back in 1970 with one sheet of indoor NHL ice measuring at 200' x 85', and a newly built outdoor smaller rink behind that arena. 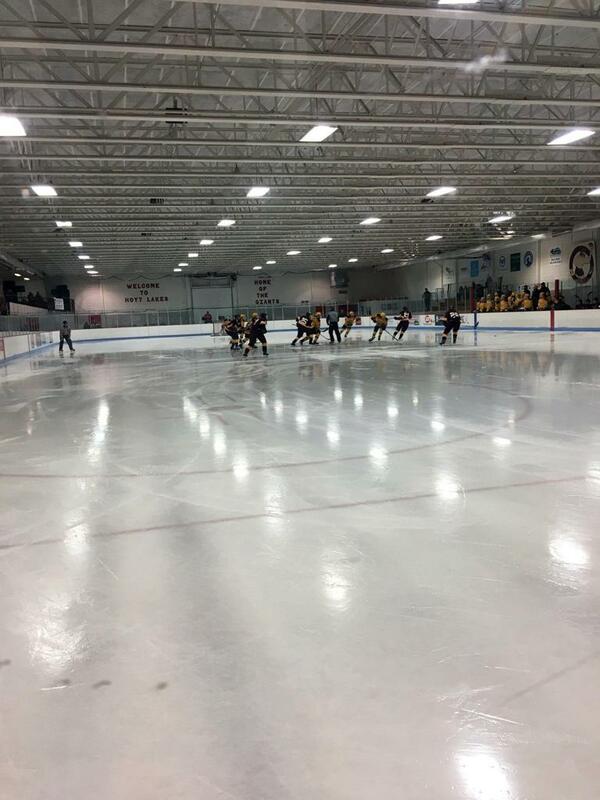 Hoyt Lakes Arena boasts a seating capacity of just over 900 spectators to cheer-on skaters within this iron range arena that is also home to todays cooperative Eveleth-Gilbert-Hoyt Lakes Golden Bears High School hockey team, that uses the arena as a practice facility. 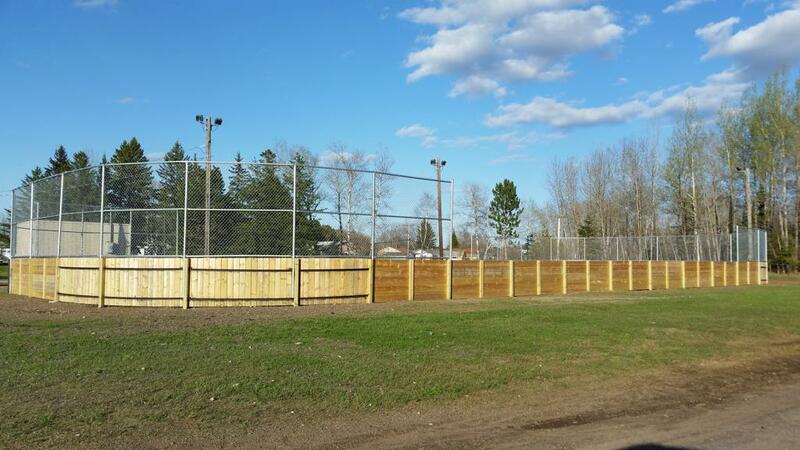 Outside of the arena lies none other that a large taconite rock donated by the Taconite Recreation Club, harvested from the lower cherty member of the Biwabik Iron Formation that is estimated to be over 2 billion years old!